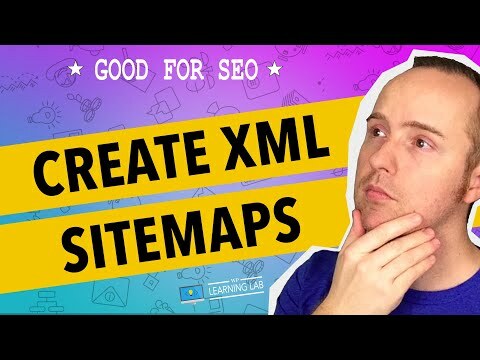 In this tutorial I'm going to show you how to create an XML sitemap for your website. XML sitemaps are used by search engines, like Google, to easily find all the content on your website. Have them also helps with SEO (Search Engine Optimization). The easiest way to create XML sitemap. Although some people may call them Google XML sitemaps, they are actually a site map of your website that you SUBMIT to Google. To generate sitemap you something called a sitemap generator (very appropriately named). The are plugins that are created only as sitemap creator, but there a few plugins that also do multiple things. So you can get two birds with one stone. One of these multi-function plugins is WordPress SEO by Yoast; that is the plugin we highlight in this tutorial. On the next page type "WordPress SEO by Yoast" into the search bar. The plugin we want should be the first one in the top left. Click on the Install Now button and then click Activate after it's installed. You will now see an "SEO" menu option in the left sidebar. Hover over it and click on XML Sitemaps. Upon installation, the plugin generates a sitemap immediately. You can click on the XML Sitemap button to view it. You can then go into the User Sitemap, Post Types and Taxonomies tabs to define the settings for your new sitemap. That's all there is to creating XML Sitemap. I hope this information helps you! If you have any questions leave a comment below or ping me @WPLearningLab on Twitter.